It all began with ten of the very best former Polaroid employees who shared Kaps’ and Bosman’s passion as well as the belief in an Impossible dream. The Impossible team started to invent and produce totally new instant film materials for all the perfectly functioning Polaroid cameras that existed worldwide. Urban Outfitters has partnered with the Impossible Project in a worldwide effort to restart and reinvent instant photography. 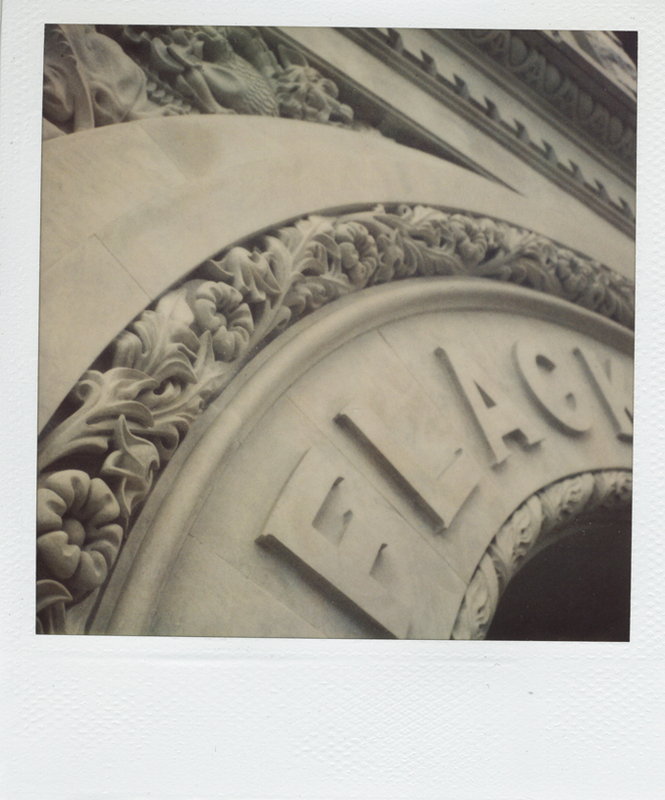 We will help bring back Instant film in 2010. 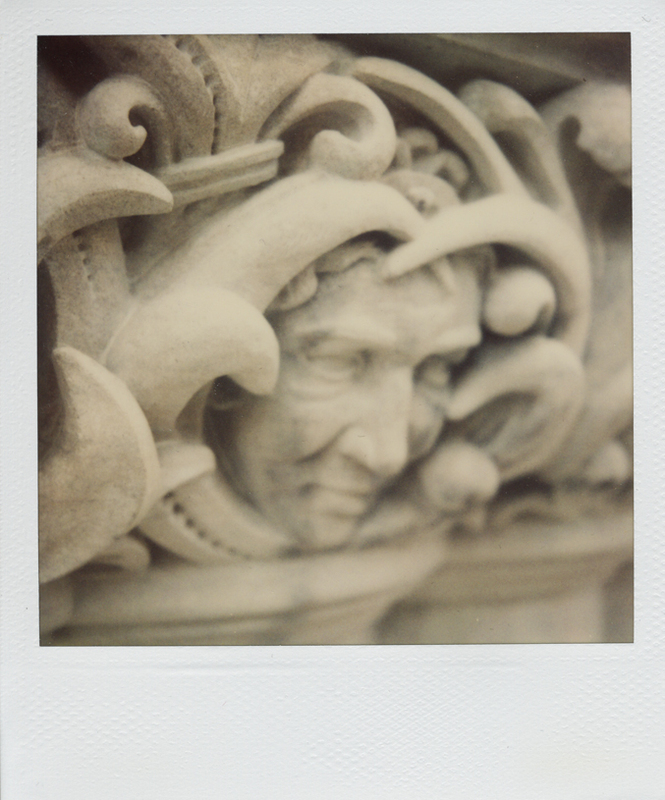 To learn more about the future of instant photography visit The-Impossible-Project.com. This was my last chance to buy actual Polaroid film, so I stocked up and bought 12 packs – at $28.00/pack, this was as much as I was willing (or able) to spend. This was also the first time I heard about the Impossible Project. 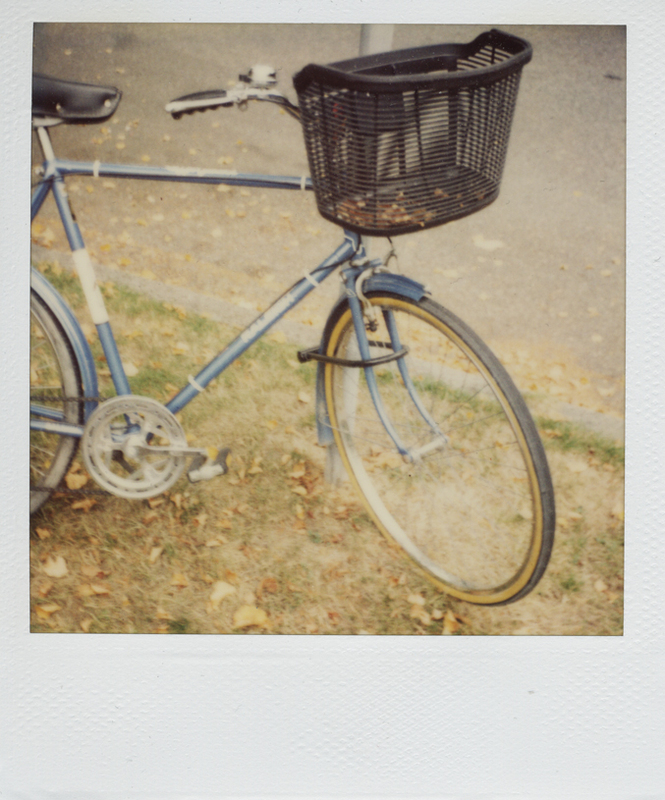 I heard that it was possible to use Polaroid 600 film (or the compatible Polaroid Type 779 film) in an SX-70 camera. 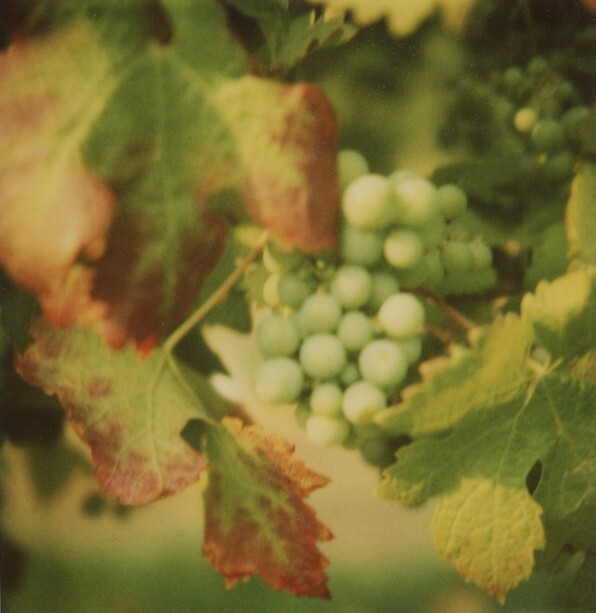 Apparently, 600 film is four times more sensitive than SX-70 film, so using it will leave you with very over-exposed photos. The solution to this issue is to use a neutral density 2 filter over the lens. 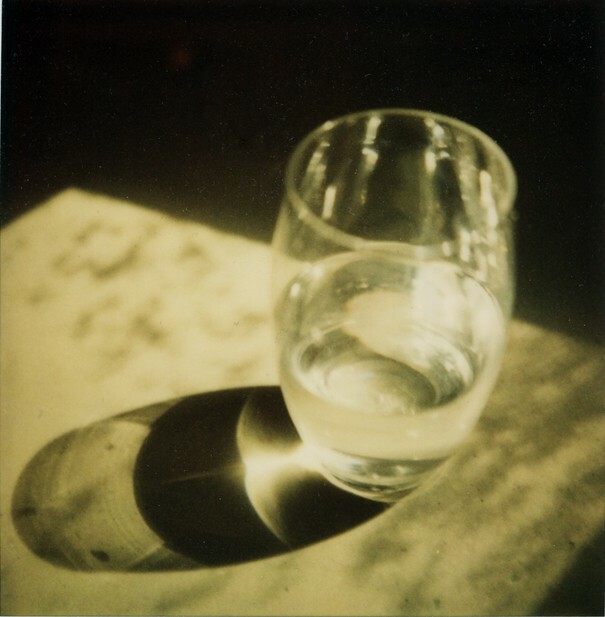 So I went to my favorite old camera store and bought a 2″ square of Wratten ND 0.70 gelatin filter – from which I cut a small piece and taped it over my SX-70 lens. 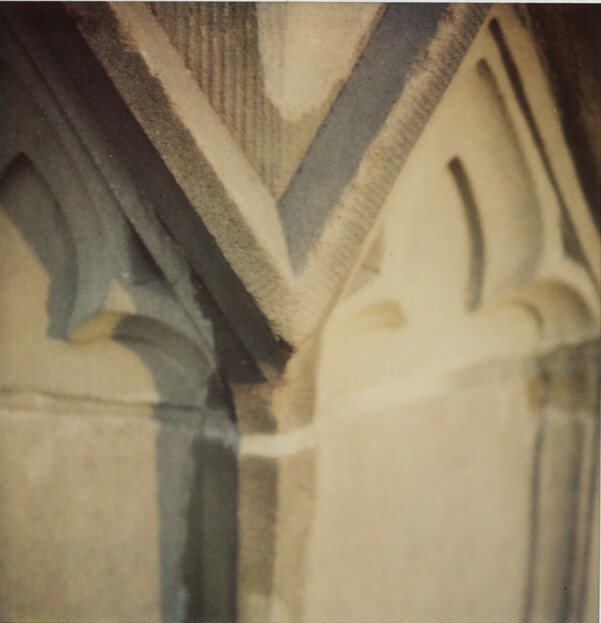 The second issue, with using 600 film in an SX-70 camera, that needed to be ‘MacGyvered’, was concerned with inserting the film pack into the camera. On the 600 film there are four little plastic nubs on the bottom of the pack whose purpose is to stop you from sliding them into the “wrong” camera. One solution is to use an exacto knife to “shave off” these nubs. The other solution is to use a stiff piece of card under the film as you slide it in over the obstructions in the SX-70′s film compartment. This card is easily removed after you have passed the point of impediment. I use the card method as it is much faster and not as fiddly. There are perhaps a few issues with using outdated film – the colour has slightly shifted and sometimes there are odd marks on the images – but I am really enjoying the atmospheric ‘feel’ these images have. I am going to miss it when all of my film is used up. Back to our friends at the Impossible project. 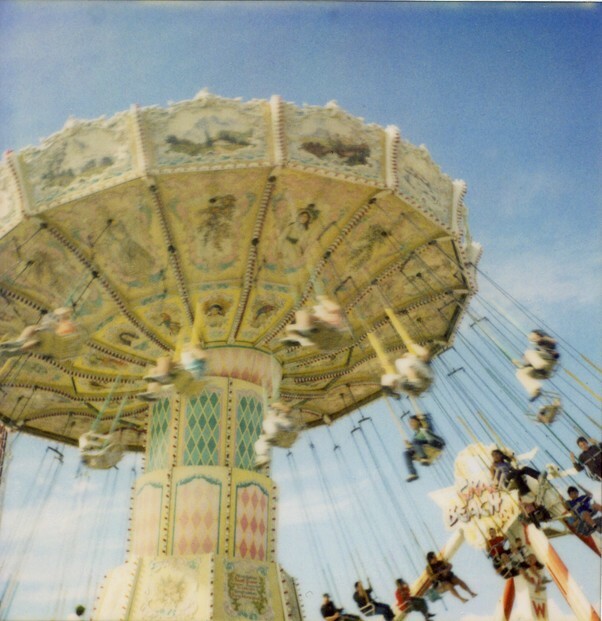 In 2010, the Impossible Project began releasing a variety of new and unique (a nice way of saying quirky) instant films- thus saving analog instant photography from extinction. 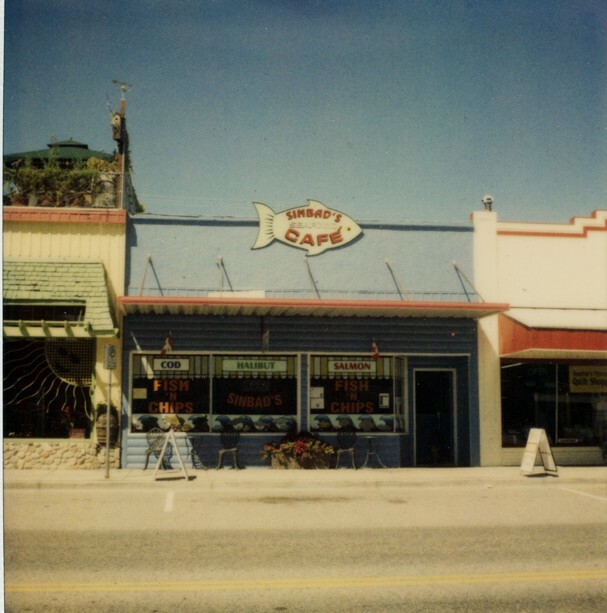 Impossible creates and manufactures new analog instant films in black & white and colour for classic Polaroid 600, SX-70 and Image/Spectra cameras. I decided to try some of this Impossible Project film so I bought a pack of the Silver Shade film. After I had read the instructions for use, I must admit I became a little intimidated – this wasn’t going to be as straight forward as my Polaroid film. The film is very sensitive as it is expelled from the camera, so they ask you to shield it from light straight away and keep it covered ( emulsion side down) for about 5 minutes. This is not an easy maneuver to perform. I wasn’t really impressed with the results. My first exposure was too dark, but that was easily changed by adjusting the exposure dial on the camera. The best image I got from this pack of film (8 images per pack) was taken in full sunlight, resulting in the correct exposure, but I still wasn’t really impressed with the film. This soon turned to disappointment when after 4 images, no more would come out of the camera. At first I thought my camera had died, but a quick check online showed that this is a common problem with these films. 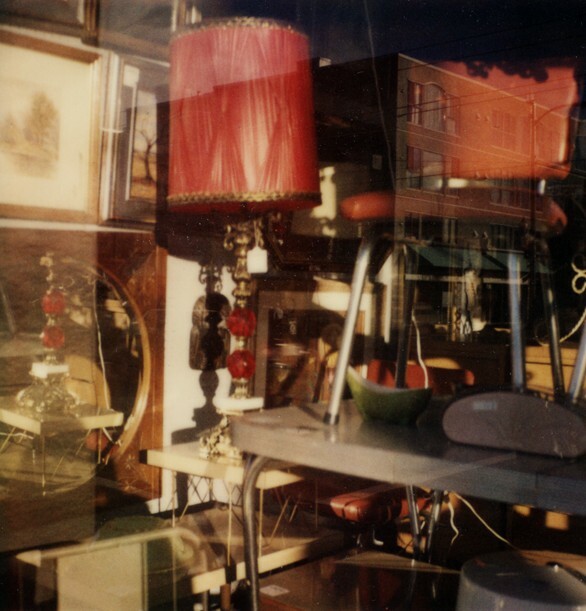 The solutions offered did not improve my situation, so I ended up opening the camera and just taking the remainder of the film and pack out – thus losing the last 4 images. To be fair, I did purchase this film about 18 months before I actually used it, so perhaps they have improved the film in the meantime. 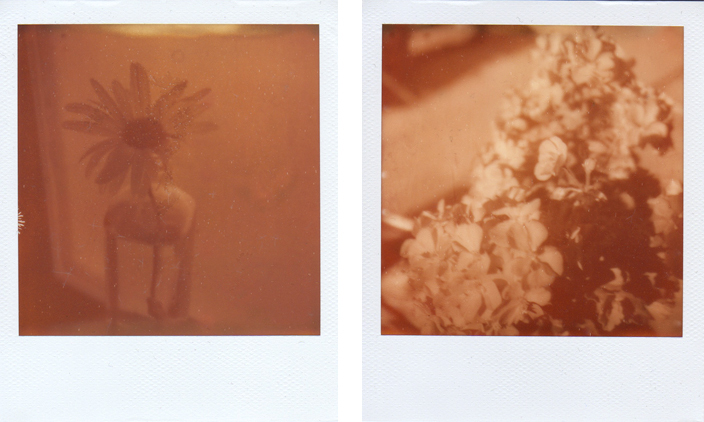 I do plan to try again with Impossible Project films, as I have seen some really cool images produced with them. 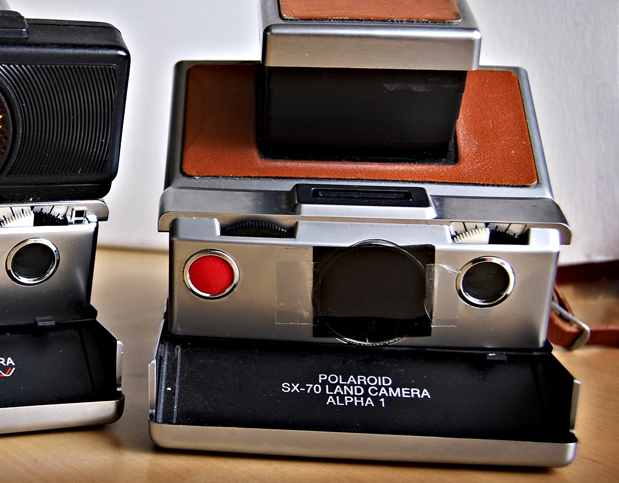 But, in the meantime, I think I will stick with my last packs of Polaroid film. My intention is to shoot 2 of the remaining 3 packs over the next several months – saving the last remaining pack as long as I can. More information about the Impossible Project story, and their products, can be found at the Impossible Project site.